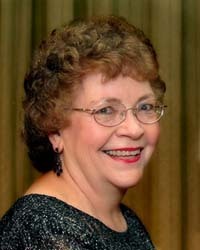 Sandy Mauchley, formerly pianist with the Milwaukee Symphony Orchestra, is Professor Emeritus at the University of Idaho. Ms. Mauchley has performed throughout the United States with soloists and small instrumental ensembles and as a duo-pianist in recitals and concerto appearances with her husband, Jay. Among other honors, Sandy and Jay, the Mauchley-Duo, have appeared on National Public Radio’s “Performance Today,” and have been presenters and featured as guest artists on national, district, and state MTNA conventions, the American Liszt Society Festivals, at the Smithsonian in Washington D.C. and in major cities throughout the country. Ms. Mauchley received the Elsa A. Sawyer Fellowship for outstanding performance ability and her M.M. degree with “High Honors” from the University of Wisconsin. Her teachers and coaches have included Gunnar Johansen, Paul Badura-Skoda, and Dr. Karen Shaw (Indiana University). A popular clinician, adjudicator and master teacher, Ms. Mauchley was awarded the Master Teacher Certificate by Music Teachers’ National Association and received the Alumni Award for Faculty Excellence at the University of Idaho. Sandy also coaches and performs at the Interlochen Center for the Arts in Michigan. She received an honorable mention in the 1990 Distinguished Composer of the Year Competition for her two-piano piece entitled “Time in the Space of Night.” Sandy is on the international roster of Steinway Artists.